Finding a contractor you can trust to solve all your home improvement needs can be a challenge. Arrow Renovation can do exactly that. 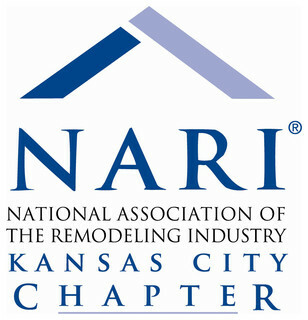 We are the trusted professionals for roofing, siding, remodeling, basement finishing and more in Kansas and Missouri. We have the expertise, quality products and materials and experienced designers and contractors to upgrade or fix the interior and exterior of your home. Whether repairing a roof leak or remodeling your bathroom, get your repair and remodeling projects done right with the help of our experts. We offer free estimates and stress-free financing options to customers in Greater Kansas City and surrounding areas. We also provide services for multifamily properties. One of the best ways to upgrade the value and function of your home is a bathroom remodel. At Arrow Renovation we are committed to giving our customers the bathroom of their dreams in the most affordable way possible. Whether you are looking to update your bathroom fixtures, add a walk-in shower, or completely change the layout, our bathroom experts can handle any remodeling job! We work with each customer to create a unique build plan incorporating everything you want to fit your personal taste and needs. Our technicians are knowledgeable and will help you pick the bathroom products that will work best in your space. Don't wait, upgrade the look and feel of your bathroom today! Whether you have roof leaks, missing shingles, damaged siding or gutters, or roof hail damage, we can tackle all your roof and siding repair needs. Over time, the weather and tornadoes can take its toll on your home, and when it does, you can count on the experts at Arrow Renovation. Our quick response gives your help when you need it and our quality materials and outstanding warranties mean you’ll get long-lasting protection for your home or property. Our roofing & siding contractors can assess your damage and recommend the right solution for your home. There are many reasons why more KS and MO homeowners trust us for their roofing and storm damage repairs. It could be that we are a local, Better Business Bureau accredited company with an A+ rating. It could be our experience with storm damage repair and familiarity with the insurance claims process. It could be that we are certified installers of high-quality, proven roofing systems and siding products. Whether you need a new roof, new siding or replacement windows, we can help with almost any exterior remodeling project. There are many updates we can help with inside your home too, like finishing your basement, or remodeling your bathroom, just to name a few. Get Home Improvement Services from One Contractor - Contact Us Today! There are many reasons why you might be looking for a remodeling contractor. 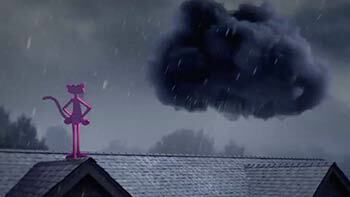 It might be to fix damage to your home's roofing after a storm. It might be that you need more living space. It might be that you’re thinking about selling your home and you want to increase the value. Whatever the reason, Arrow Renovation is your expert. Contact us today to request your no-obligation consultation and free estimate in Kansas and Missouri. Arrow Renovation offers stress-free financing! One option includes No Monthly Interest if paid in full within 24 months. Same as cash! Quality solutions, fair prices & quick responses to all of your roofing needs, including commercial work! You can rely on Arrow Renovation.